Stolen You saw me before I saw you- By:Maria I. How would you feel if you were stolen, but not in a crazy way just stolen and taken to a place in the middle of nowhere? This is exactly how Gemma Toombs a 16 year old girl feels when she stolen. While waiting in an airport ready to fly to Vietnam with her parents Gemma is stolen, everything appears to okay, she's just about to board her plane and leave London. That is however until Gemma meets Ty a mysterious 24 year old man who looks oddly familiar and has eyes that are as a blue as ice. Gemma decides to sit down and have some coffee with Ty, and is hesitant to leave with her parents so soon. Ty buys her a cup coffee, but what Gemma doesn't know is that Ty has drugged the coffee and in turn kidnaps Gemma. He takes her to the desert in Australia, but it's in the middle of nowhere, and Gemma begins to hate Ty but along the way develops appreciation for him. However is Gemma being decieved by her captor? Is Gemma experiencing love for Ty or Stockholm Syndrome? I give Stolen 5 stars out of 5 stars, because this book has everything in it: science-fiction, fantasy, romance, and mystery. In my opinion, it is unlike any other book I have read and it really captured my inner emotions. If you want to read this book, head down to the library and check it out, before someone else does! Skinny - by Mehwish F.
Plenty of thoughts and emotions run through you as you open the book, Skinny by Donna Cooner. Every girl should read this wondrous novel for in it lays a world of reality. The contents of this book will have you swooning for more. I absolutely recommend this book to readers because it is extremely relatable. Ever is a sophomore girl in high school-she is fifteen years old-and weighs 302 pounds. Fate takes its toll as Ever goes into surgery and battles between life and death, between Skinny and herself. This tremendously intriguing book will leave you wanting more. The result: 5 very fulfilling stars. The Host Movie/Book Review Choose to Believe, Choose to Fight, Choose to Love- By: Maria I.
Stephanie Meyer's newest science fiction novel The Host was turned into a movie that came out in theaters on March 29, 2013. The Host is about an unseen alien enemy called "Souls" who threaten Earth by taking over human's souls and erasing their memories. Melanie Stryder a 21 year old human girl who is one of the last humans who have not been captured; will do anything to protect her loved ones, her brother Jamie and parther Jared Howe. Melanie is later captured by the Seeker and has a soul called "Wanderer" put into her, the Seeker wants to locate where the last human-resistance is so she can ingest more "Souls" into the last humans surviving. Therefore, she puts Wanderer in Melanie's body to locate her memories, although, Melanie begins to resist and fights back so she can have control over her own body. The Host is a book that deals with mystery, love, science-fiction, and most importantly doing whatever you can to protect yourself and your loved ones. 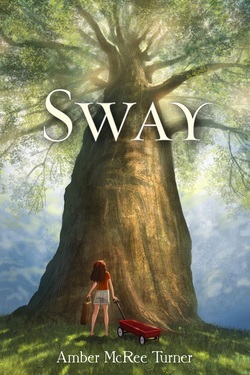 Sway is a very emotional book about a young girl named Casse who in the beginning of the book rights in a journal about her day so her mother who travels around the world to help people during hurricanes, can read it when she comes back home from her trip. When Casse’s mother comes back from her trip Casse’s mother seems a little different. Casse’s mother came back a girly-girl, make up on smelling like fruit as casse describes her mother when she saw her get out of her car. Casse gave her mother a hug and didn’t want to let go until everyone had dinner and some news came out from Casse’s mother saying that she will leave in two weeks to Florida. Casse was so sad that’s when everything changed she thought she will be going with her mother to Florida but she won't because there is no way she can learn so save multiple lives in two weeks till it is time to go on the trip. Casse was with her mother going to bed she felt different she wanted her mother to stay with her forever not to leave the bed or even the room Casse felt depressed that as soon as her mother gets home she has to leave again. Casse wanted to spend plenty of time with her mother but she was not able to, because she already knew she will be leaving in no time soon. Casse then starts doing things she thought she will never do, such as hurting herself because her mom left after they had just got back together, but for her mother it was just a visit. The book is sad and is more for teens but if you would like to read it is your choice it is a good book but just a little too sad for some readers. Again, I suggest you read it because it is really good. “Well, I don’t believe you. Guess I’ll have to check it out for myself!” And that’s exactly what I did. Now that I’ve devoured the extravagant words twice by Veronica Roth, in Divergent, I can honestly say, “WOW”. Not only could I not put this book down, I ended up flipping right back to page one after finishing it for the first time. 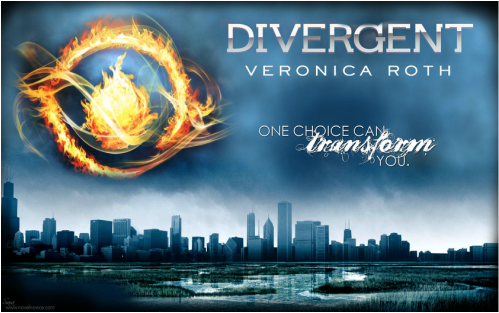 Divergent is about sixteen year old Tris who has to choose a faction for her life after being depicted, Divergent. Set in a future dystopian society, Divergent shows real promise as a series. After just one look, teens around the world have already crossed their fingers for the movie. This book has become so popular; fan pages on Facebook have come out and followed by thousands. Now that Tris is sixteen, she has choices upon choices being hurled at her at a nauseating speed. What faction will she choose? (Factions are lifestyles sixteen year olds her age have to choose to live with-like, Amity-Peace, Candor-Honest, Dauntless-Brave, Abnegation-Selfless, and Erudite- Intelligent). How will she deal with the pressures of being Divergent? How will she keep her secrets and how will she tell the boy she loves the truth? I give this book beyond five stars-if you’re looking for a good read-this book is the one for the job. Do yourself a favor and be carried away into this beautiful, intense, captivating world of dystopia! Safe Haven Movie/Book Review- Would you fight for love? By: Maria I. Safe Haven is Nicholas' Sparks newest romantic novel, and it was turned into a Major Motion Picture (movie) that came out on February 14, 2013 Valentine's day. In my opinion I think that the book Safe Haven wasn't so good but wasn't so bad either. In the book Nicholas Sparks gives you a very good description of the main character Katie. Safe Haven is a romantic novel and it's about a women named Katie who runs away to Southport, Carolina because of her alcoholic abusive husband. Once there she meets Alex who lost his wife due to a sickness a couple years ago. Katie learns to face many things in Southport. Safe Haven goes through loss, trust, bonding, love, and letting go. The book had just the right amount of romance and if you love romance or Nicholas Sparks in general then this is definitely the book for you! Safe Haven was turned into a movie that came out on Valentine's Day and I personally think that it was a pretty decent movie. There were a few differences between the movie and book, but overall the storyline was kept the same. In the movie Julianne Hough plays Katie and Josh Duhamel plays Alex, I think that these two actors did a really good job at playing their characters. I don't want to sugar-coat so I will just say it, for those people who love romance movies you will cry at the end of this movie, some of you might not but you could shed a tear or two. So, if your looking for a good romance movie to watch, you should go and in see Safe Haven while it's still in theaters. The question is though, How hard would you fight for love? Lately the bookworm buzz is about Matched by Ally Condie. Matched is a love triangle romance with many confusing events. It’s all about a girl named Cassia Reyes. Cassia lives in a society where people, called officials, decide everything. Such as your job, the person you marry, and the day you die. On Cassia’s seventh birthday, she goes to her match banquet. This is where you find out who you marry. To her surprise, she is matched to her best friend, Xander. Cassia thought that it would be very easy, but she was wrong. The minuet she meets a boy named Ky everything changes. She can’t decide what she feels for him, but she knows it’s not right. When Ky helps her with cursive writing she realizes she’s in love. Now Cassia must hide her love for Ky from her match, while hiding it from the officials. Can she do it? To find out, read the book. After reading the end of the book my opinion changed completely. The end of the book is a cliff hanger, so read the next book, Crossed, right away. Don’t forget about the last book to this trilogy, Reached. You’ll be glad you did trust me, not rebel Cassia. Realizing Something, Once It's Too Late By: Maria I.
Wendy Mass' novel A Mango- Shaped Space is a book about love, learning to accept someone for who they are, dealing with loss, and believing in your self no matter what. A Mango-Shaped Space is about a girl Mia who only appears to be the most normal kid in her family; her brother keeps a chart for how many hamburgers he has eaten a day and her older sister dyes her hair a different color every single week. Mia claims that her siblings are weird in a good way, but Mia only a tween discovers that she has a condition. How would you feel if you received news that made you value life completely differently? That's how Mia briefly felt because what she felt was well you would have to sit down and read this amazing book. Mia changed tremendously throughout this whole book she was a completely different from the beginning of the book to end. But, the one thing that helps Mia with evolving into a different person is her cat Mango and he has a pretty central role in this novel but this is all I will say because if I say more it will reveal too much about Wendy Mass's brilliant novel. 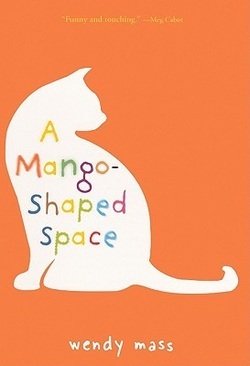 If you want to know more go to the library and check out A Mango- Shaped Space believe me you will not regret it!